The 2016 Tri-Glide® Ultra is one of the Harley-Davidson® Trikes designed to give you security, stability and comfort on the roads on the Rockies. 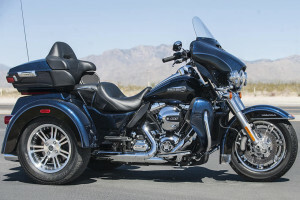 For those long rides through the Rockies, nothing could top having the space to carry all your gear and a passenger in true comfort. 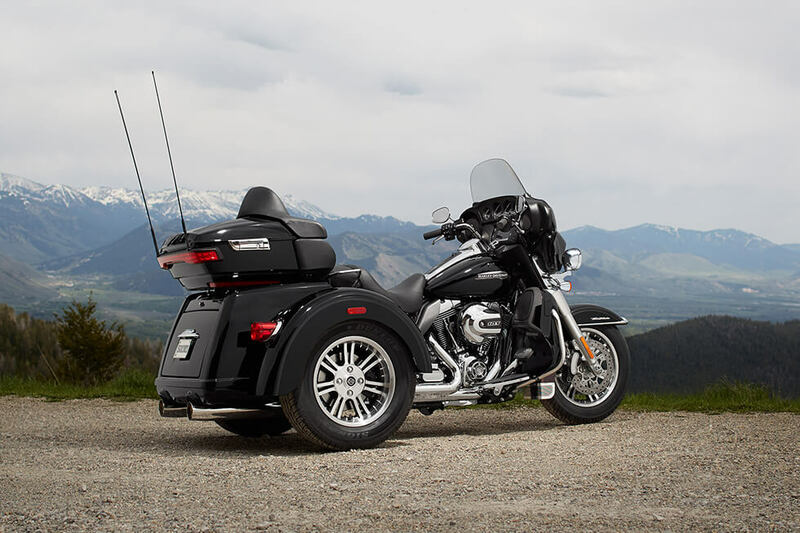 The Tri-Glide® Ultra also provides all the latest technology and touring features to keep you safe and secure on the road. 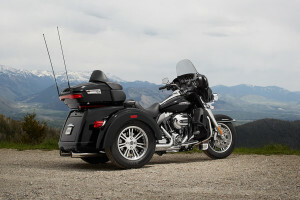 Find out more about the Tri-Glide® Ultra here at Avalanche Harley-Davidson® on Colfax, Avenue. 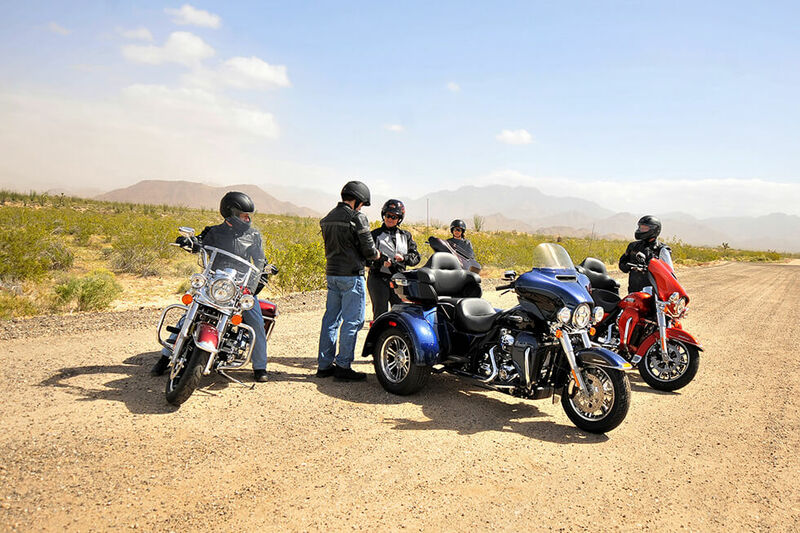 High Output Twin Cam 103™ Engine Innovation: You’ve got a rubber mounted v-twin that helps provide an incredibly smooth ride. With a strong driveline, lightweight components, and low routine maintenance, it’s the kind of powertrain you trust for year after year. 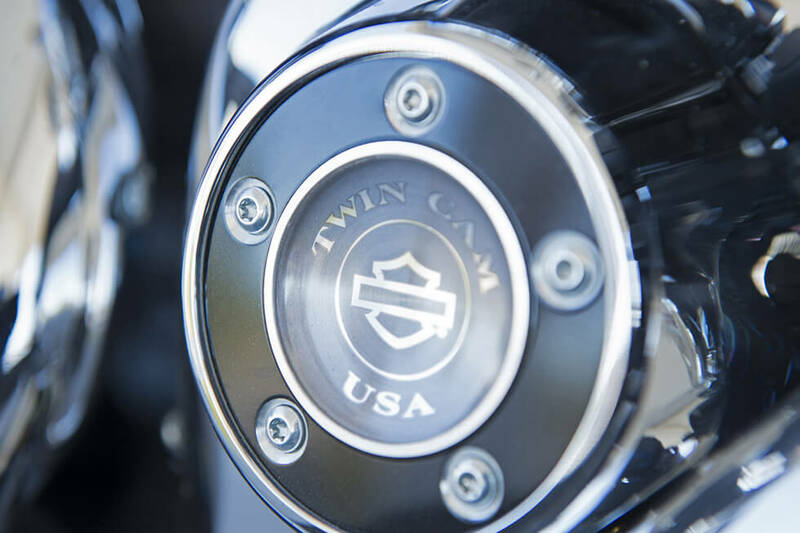 High Output Twin Cam 103™ Engine: The heart of the Tri Glide® is the Twin Cam 103™ engine, that pumps out plenty of power, to provide the motivation you need even when carrying all your gear. 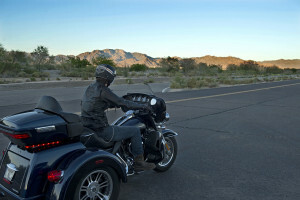 Daymaker™ LED Headlamp and LED Fog Lamp: 2,136 lumens is enough to light up the darkest roads on the darkest nights. 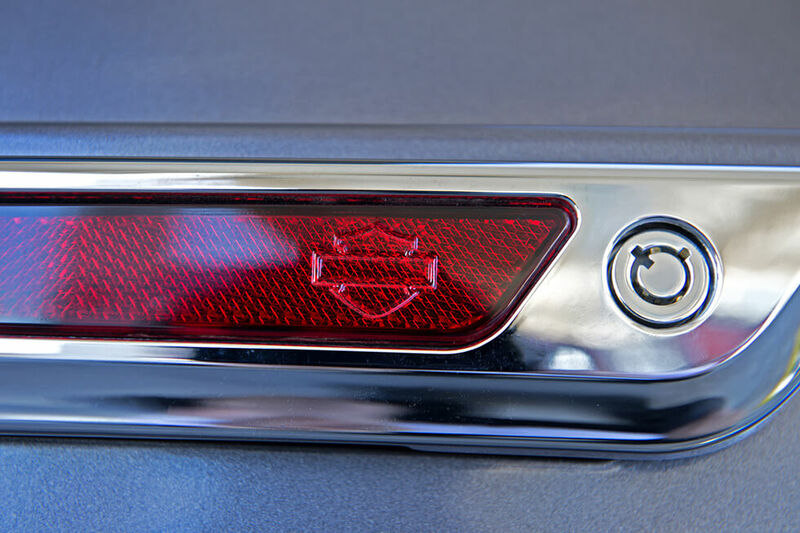 That’s why this LED headlamp is called the Daymaker™. High Output Twin Cam 103™ Engine Heritage: This iconic engine inherits the same durability and reliability as the Panhead, Knucklehead, and Shovelhead engines, but it also upgrades with some of the latest technology. 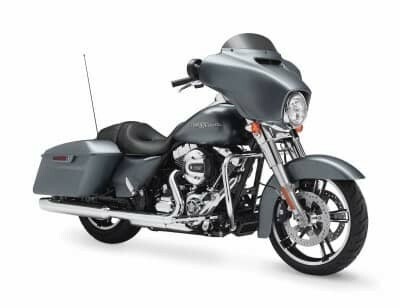 H-D® Smart Security System: This optional system adds peace of mind, with a wireless keyfob that sticks with you to activate the security system when you leave the bike, or deactivates it when you approach. 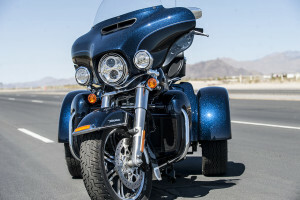 Dual Disc Front and Rear Brakes: You’ve got two discs up front, and two discs out back, to deliver the stopping power that you need on three wheels. 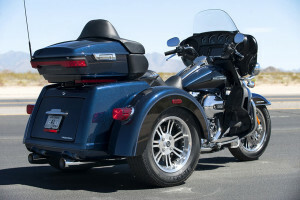 Three Wheel Frame Design: You don’t sacrifice the iconic ride of a Harley-Davidson® when you ride the Tri Glide®. It’s designed to provide confident, capable handling, in all conditions. Steering Head and Forks: With bigger forks up front at 49 mm per leg, you’ve got more confidence and more control in the corners, yet with retuned damping, you don’t sacrifice any comfort. Project Rushmore Infotainment: With the latest infotainment system from Harley-Davidson® you’ve got access to smartphone connectivity, navigation, music, and more. 5.25-inch Front and Rear Speakers: Rider and passenger can both enjoy the tunes, thanks to big, clear speakers mounted front and rear. 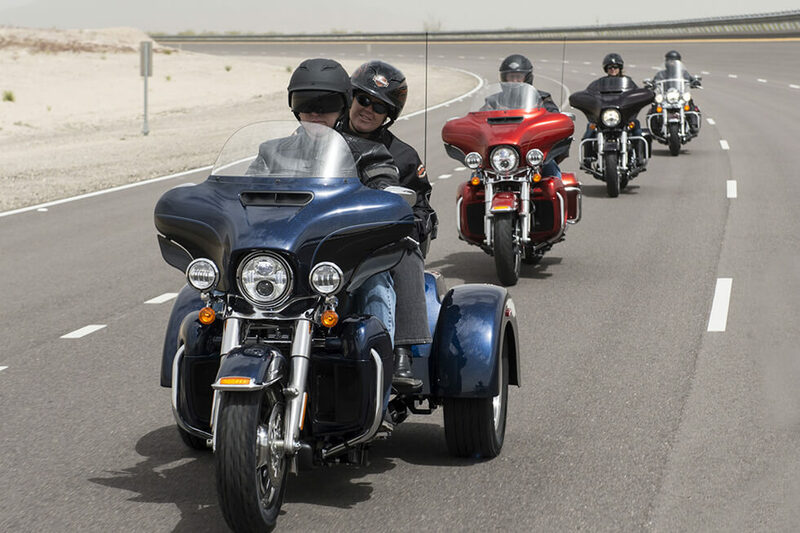 Nothing feels better than the wind in your hair when you’re riding a Harley-Davidson®. That applies to both two- and three-wheeled models. 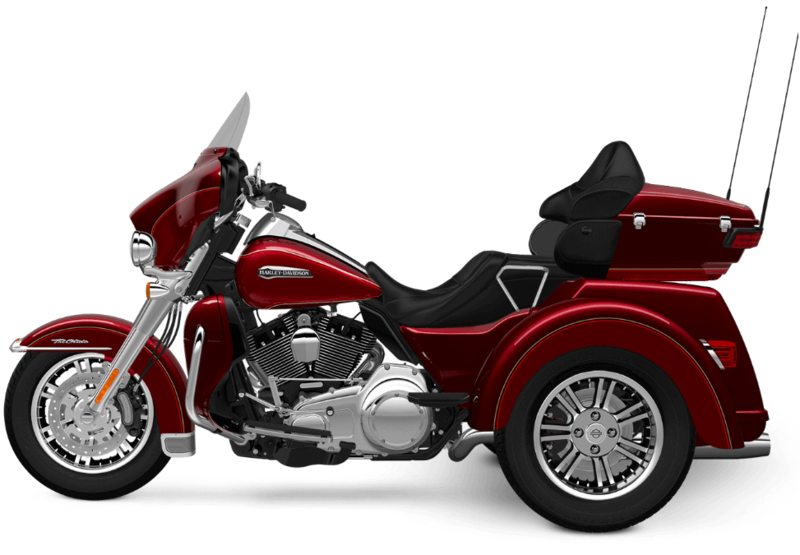 Wide Set Handlebar: With a wide set handlebar you get to spread your arms, and relax. This position makes riding all day not only possible, but a pleasure. 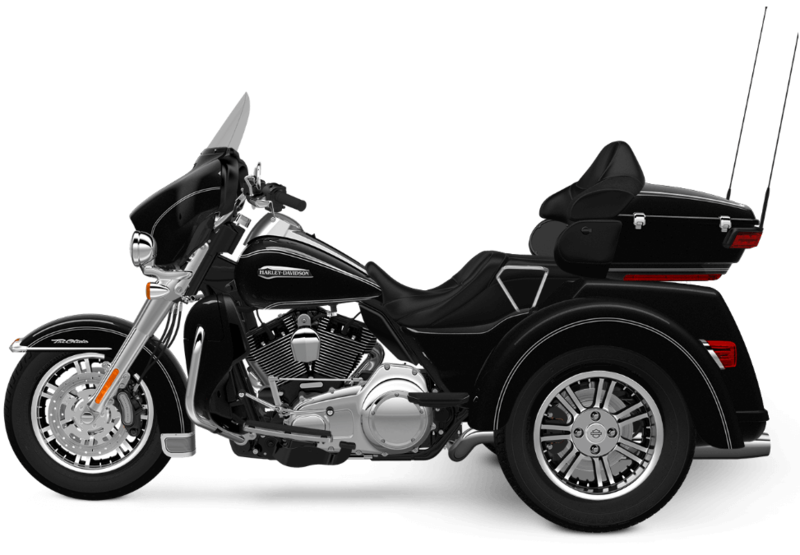 Foot Operated Parking Brake: It’s simple activate the parking brake, so that the Tri Glide® won’t move an inch when you don’t want it to. 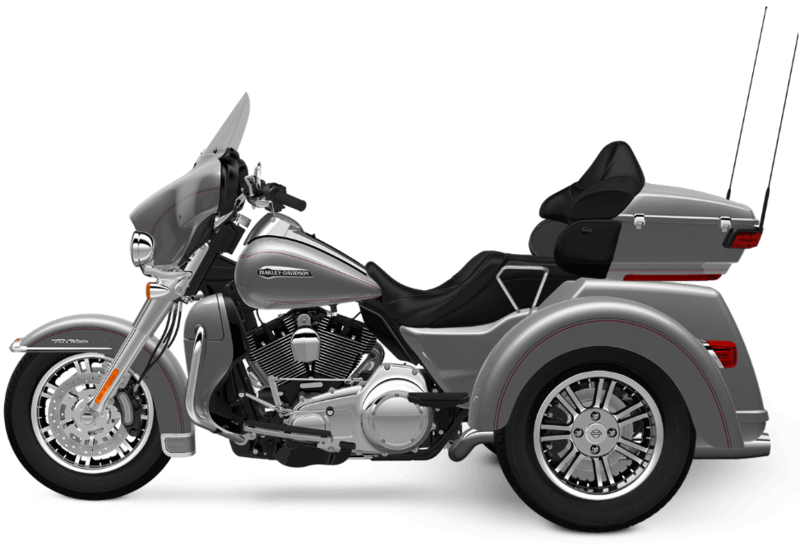 Trunk and King Tour-Pak® Storage: With a total cargo capacity of 6.7 cubic feet and up to 80 pounds, the Tri Glide® Ultra model puts the "haul" in long haul. Back and Arm Rests: Keep everyone happy out on the road, with a supportive back and arm rest, designed to cushion the back seat passenger. 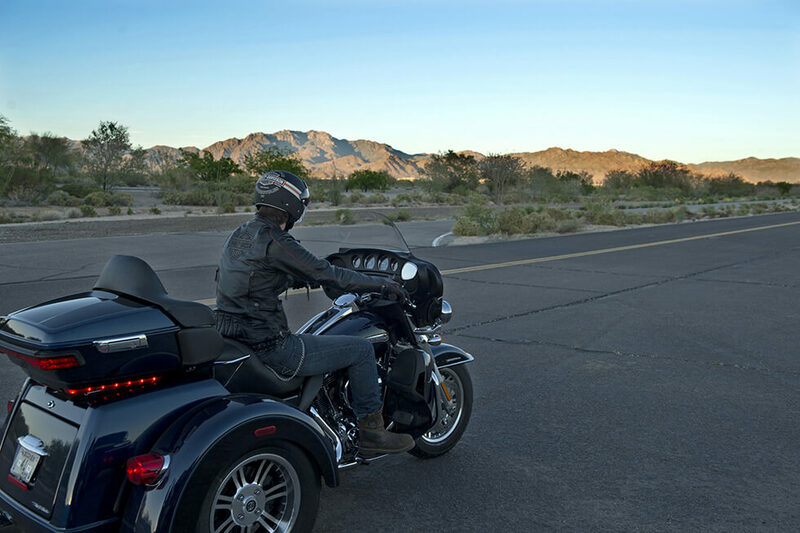 Cruise Control: Set the cruise control and kick back and enjoy the open road. 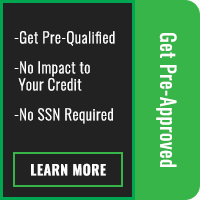 This helps you save fuel and save your energy for when you really need it. Full-Length Floor Boards: With full length floor boards, you’ve got the space to stretch out, and with rubber isolated padding, you don’t have to feel every vibration from the freeway. 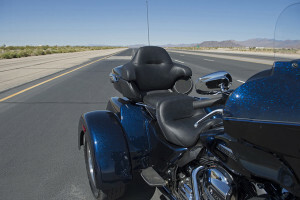 Fair Design: Head buffeting can cause fatigue and just generally be uncomfortable, and that’s why the Tri Glide® gets a smartly designed fairing to help reduce this phenomenon. 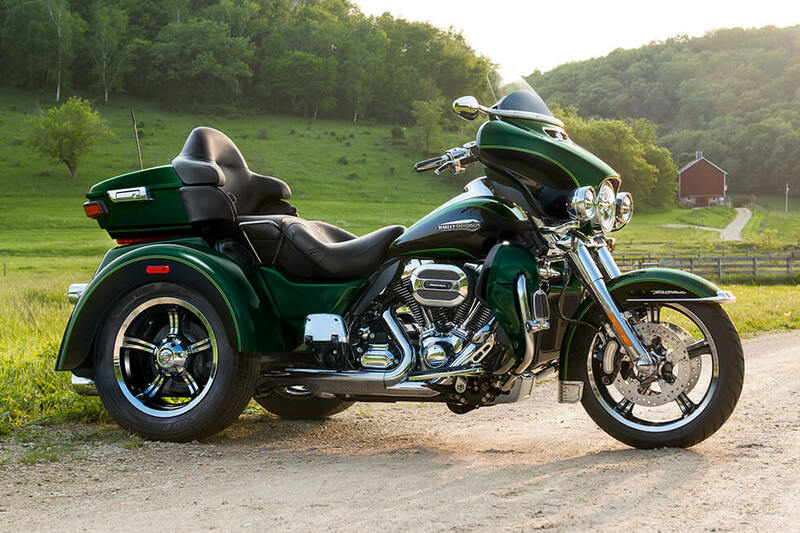 Seamless Styling and Matching Paint: You’ve got paint matched fenders, fuel tank, and trunk. It’s a seamless style that looks good, and works even better. 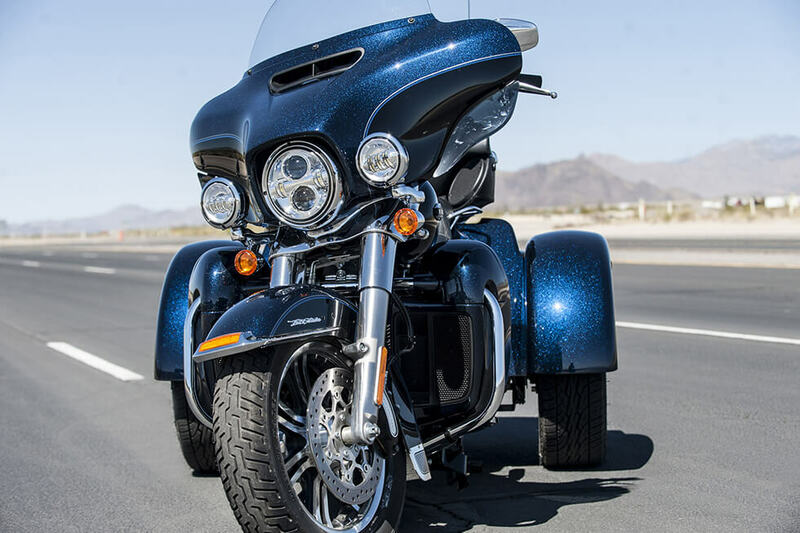 High Flow Airbox: You’ll probably notice this big slab of chrome on the side of the Tri Glide® first thing. It’s a beautiful piece, that also helps direct air into the v-twin to boost performance. 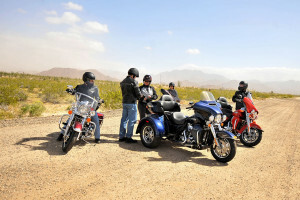 Pure Harley-Davidson® Styling: The Twin-Cooled High Output Twin Cam 103™ doesn’t just make power – it also turns heads. 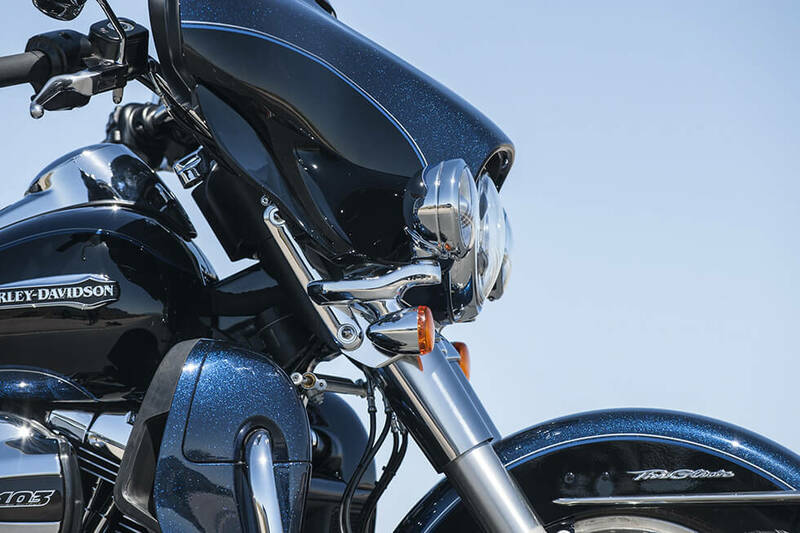 Just look at the gleaming chrome rocker covers, the black powdercoated cylinders, and machined cooling fin tips. Bullet Turn Signals: A modern bike can still have classic features. 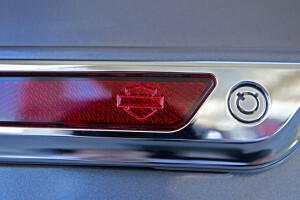 Why mess with the beautiful chrome bullet turn signals, when they do their job and look better than anything else? 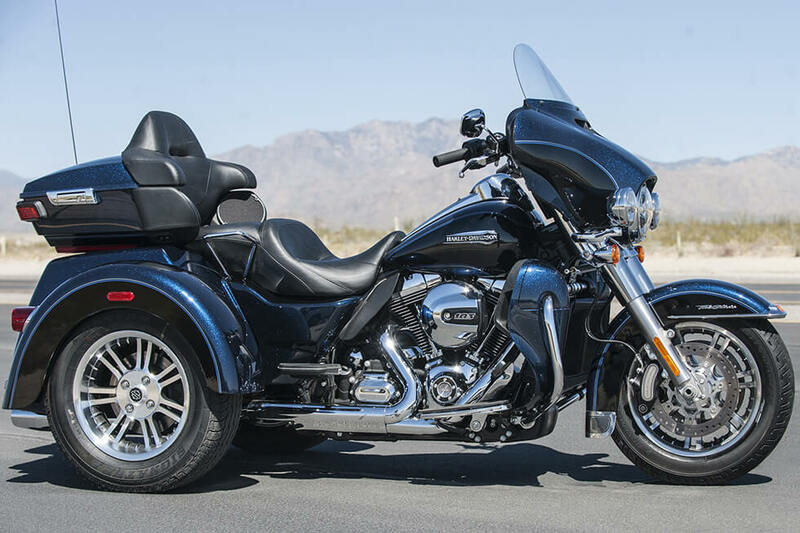 Black 7-Spoke Aluminum Wheels: These cast aluminum wheels look great, and do a great job of rolling, mile after mile. Their light weight design helps improve acceleration, and the unique black accents add a custom look.